Organised by Alan Morrell thirteen members turned up to what has become an annual event. 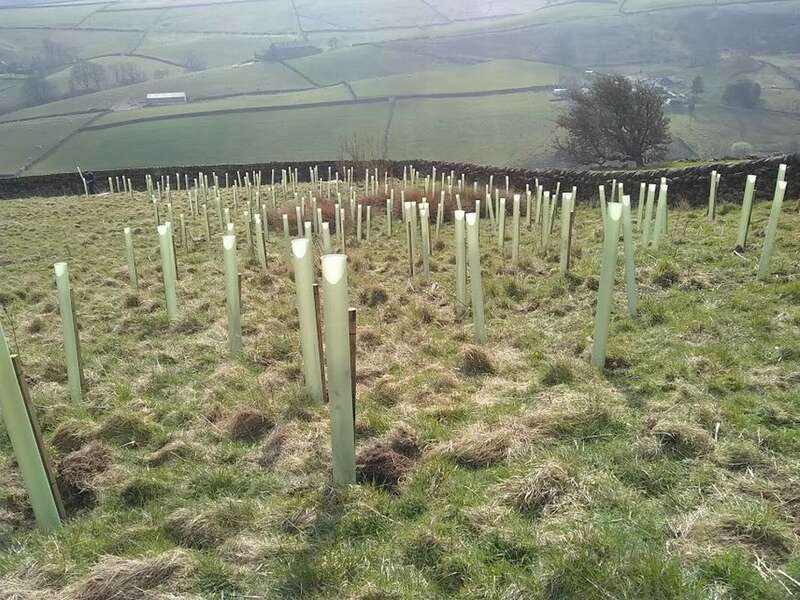 Bradford Blaize paid £500 for the trees and the stakes and protective sheaths. 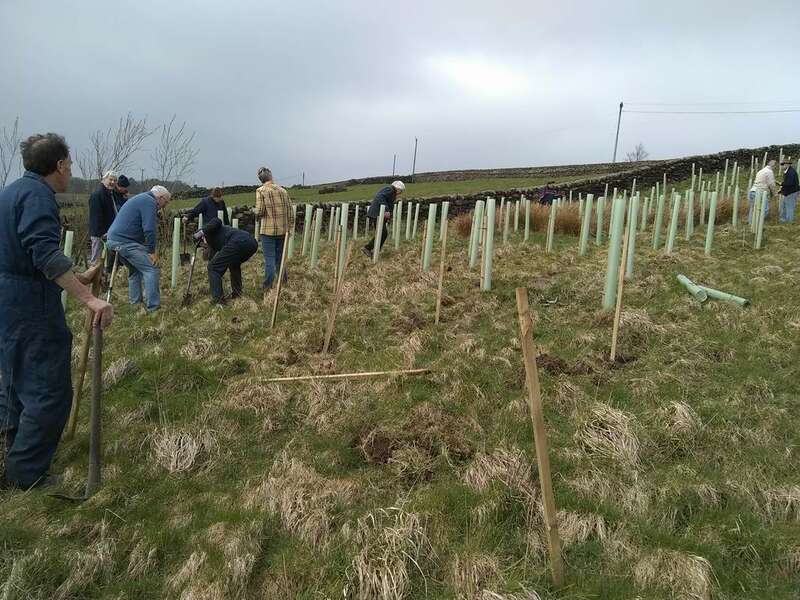 Then guided by Kevin Walker from The Forest of Bradford they planted Lime, Oak, Alder, Willow, Spruce and Ash at Crag Nook Farm. 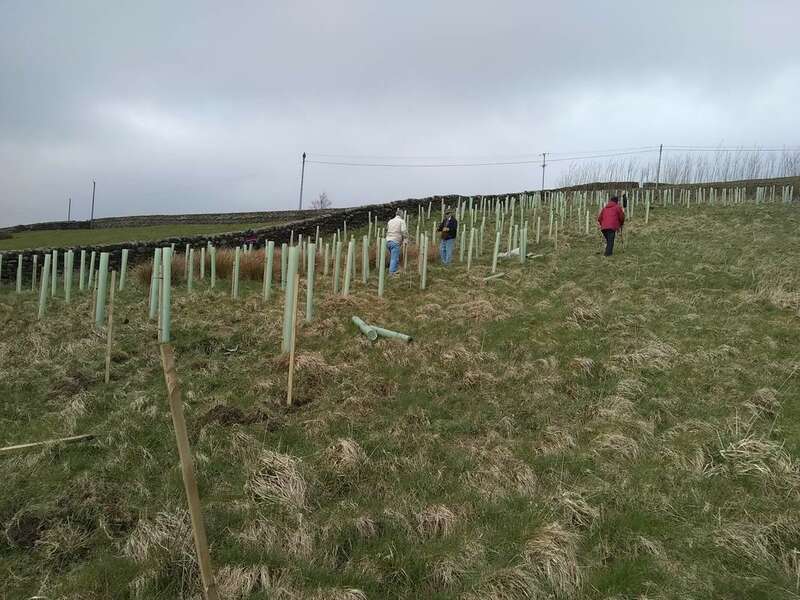 Over the 8 years that we have been undertaking this task we have planted a total of 4,350 trees including hedgerow shrubs for wildlife such as Hawthorn and Buckthorn. This has resulted in the club receiving a prestigious Rotary Award for our series of plantings since the Queen’s Diamond Jubilee. The site is spectacularly placed above Ponden reservoir but was very exposed and warm protective clothing was required. John Barrow the President of Blaize said "It was quite a hard effort actually – quite a steep slope, but excellent soil – much too good just for Sheep !". The landowner provided hot drinks during the planting. Then afterwards the team retired to The Golden Fleece in Oakworth where they were given a warm welcome from the Manager Gareth. 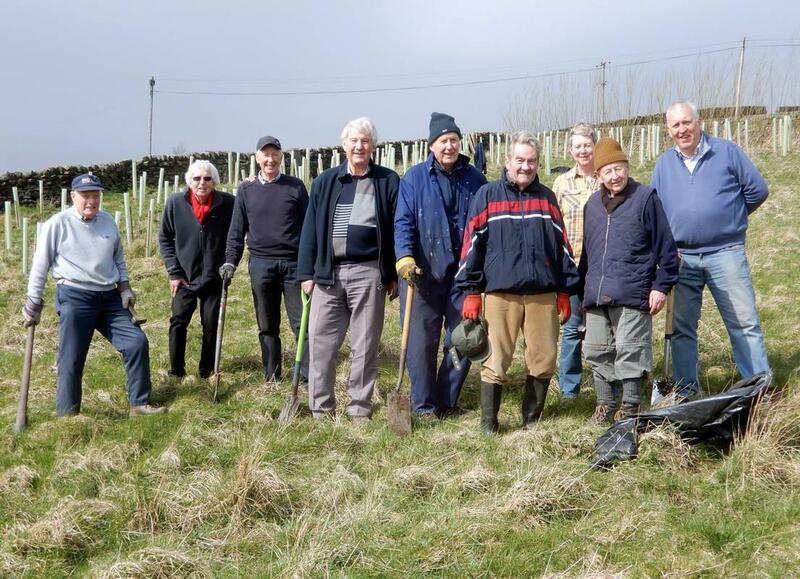 The Forest of Bradford is an exciting initiative to increase woodland cover throughout the district in partnership with local communities, organisations, volunteers and businesses. The project was set up in 1998 with the aim of establishing a sustainable wooded landscape in both the rural and urban areas of the district.